The Malacca Singapore Express is one of the many pioneers in the bus industry. This long serving bus company specialises in routes between Melaka and Singapore, providing frequent trips to and fro the said destinations. It also has drop-off points in Muar and Johor Bahru apart from the ones in Melaka and Singapore. 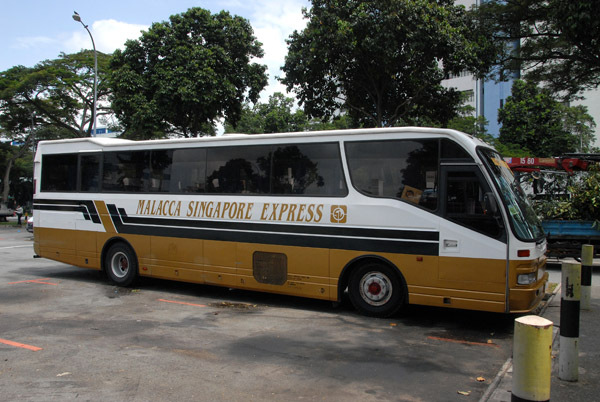 Malacca Singapore Express also ensures that their coaches are always comfortable and safe for their passengers to board. Hence, their coaches are fully air-conditioned with reclining seats and ample of legroom. This is to provide the optimum travel experience to their passengers. No. 23, Terminal Bas Peringgit, Jln Tun Razak, Melaka Sentral, 75300 Melaka. CatchThatBus offers online bus tickets to many routes covered by Malacca Singapore Express as well as seat availability features. You can book your bus ticket online from our website or via mobile app which can be downloaded for free on Google Play or App Store.